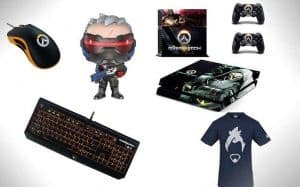 Overwatch Merchandise: Best Merch Available Now (2019) | Nerd Much? Whether you're a bronze-tier all-star or a Platinum-level Rein main, there's plenty of merch for all players. Blizzard’s Overwatch is picking up Game of the Year awards left and right — including from us here at Nerd Much?. If you’re like us, and you’ve fallen for the game’s cool characters, it’s likely that you’ll soon start looking for cool new Overwatch merchandise to satisfy your nerdy needs. From action figures to t-shirts to toys, we have no doubt that there will soon be no shortage of great Overwatch stuff to buy. For now, here’s the best Overwatch merchandise to buy right now — but hide your wallet, because it simply isn’t safe. It’s no secret that Razer’s gaming keyboards are well-made, as if you look at any of their peripherals on Amazon, you’ll see at least a 4 star rating. This Overwatch BlackWidow Chroma Mechanical Keyboard has a 4.4 out of 5.0 star average review from over 1,450 reviewers, and with good reason. Not only does it look great, with a customizable glow and the game’s logo printed on it, but it has fully programmable keys and extreme durability, so despite what game you plan to use it for, it’s adaptable and ready to game when you are. 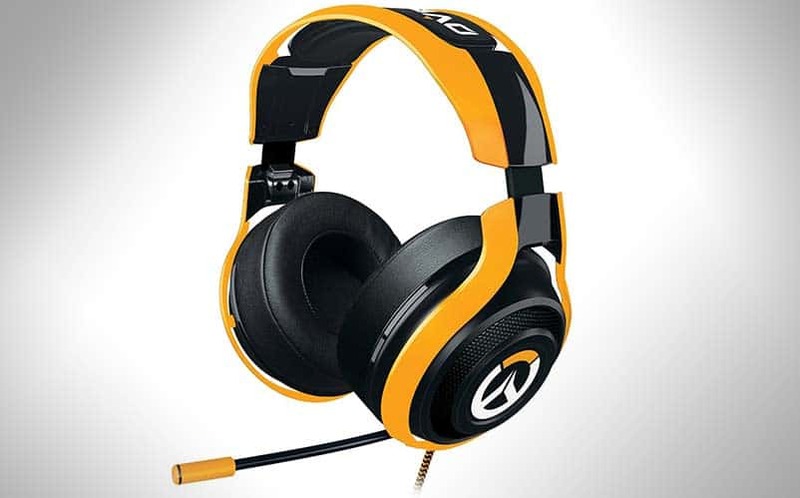 It’s the coolest Overwatch merchandise Amazon has to offer if you’re a PC player. 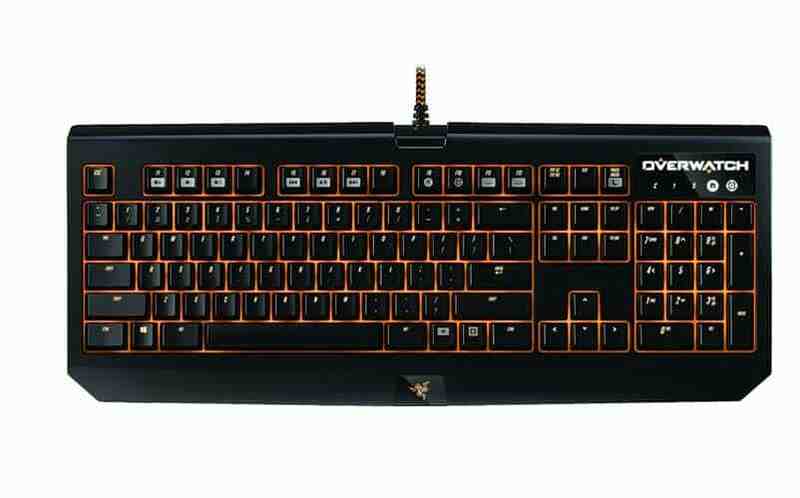 Buy the Razer Overwatch Keyboard here. Of course, you’ll probably want a mouse to go with your keyboard, and, luckily, Razer also has an Overwatch-themed DeathAdder Chroma gaming mouse available. It’s equipped with a 10K dpi optical sensor and is capable of mouse movement speeds of up to 200 inches per second. 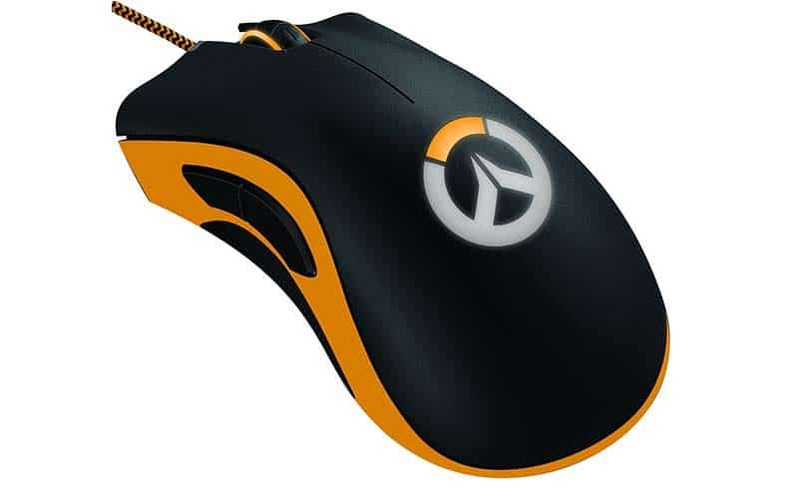 Buy the Razer Overwatch DeathAdder Mouse here. When it comes to PC gaming, having a mega mouse pad is incredibly important for shooters especially (which Overwatch is, essentially). 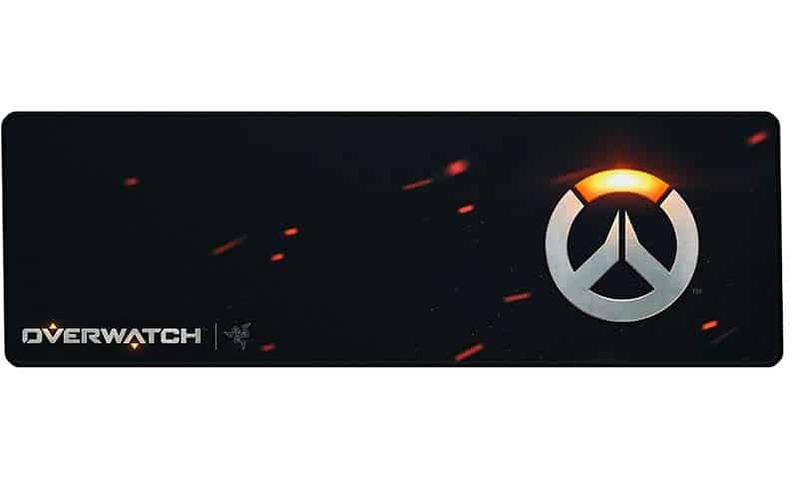 So give yourself room to work with the Razer Overwatch Goliathus Soft Gaming Mouse Mat, which comes with the game’s logos on it. 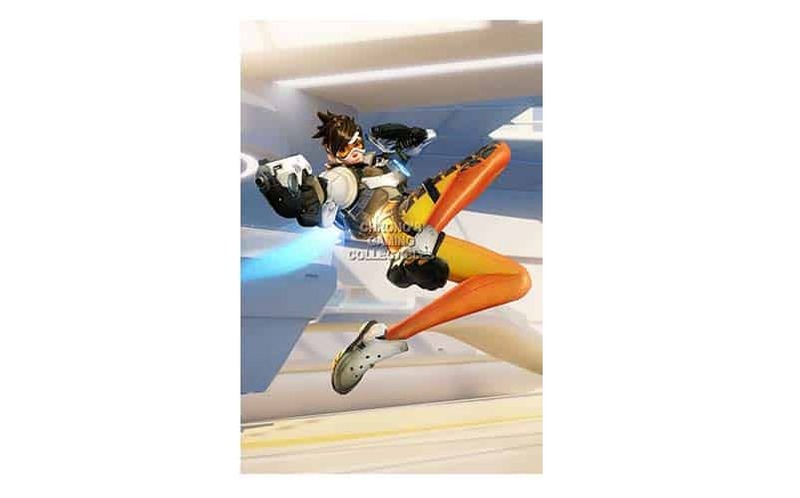 Buy the Overwatch Mouse Mat here. Read more about the Razer Overwatch Headset here. Buy the Razer Overwatch Headset here. Of course there is an Overwatch Collector’s Edition, because Blizzard loves to satisfy those collecting souls. 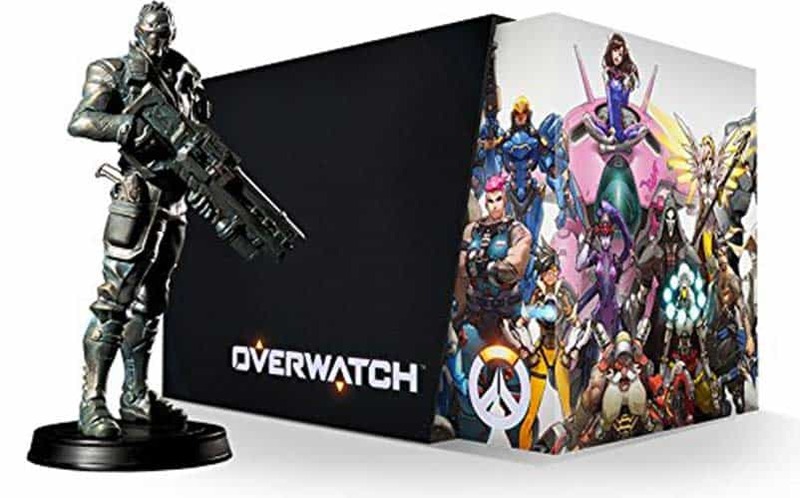 The Collector’s Edition comes with a Visual Sourcebook, Soundtrack, and a Soldier: 76 Statue, as well as all of the in-game bonuses and Origin Skins bundled in the Origins Edition of the game. The CE comes in a beautifully designed box as well, and it will make a great addition to any gamer’s shelves. Buy the Overwatch Collector’s Edition here. 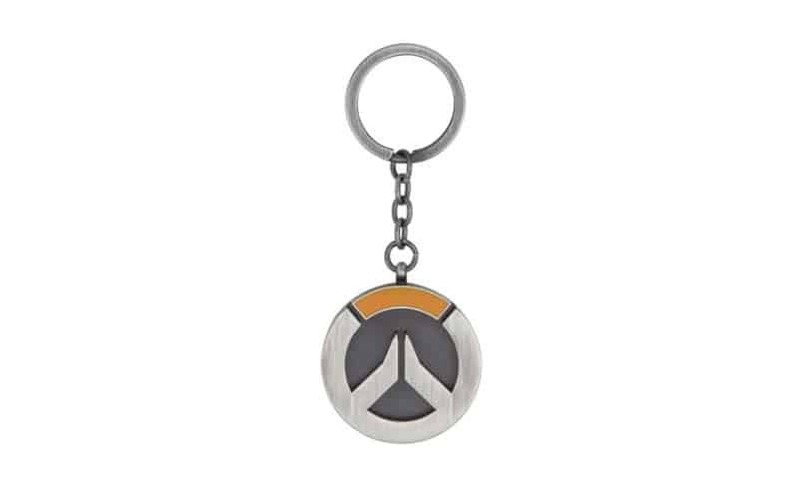 If you’re not looking to spend an arm and a leg, but you want to show everyone that you’re a fan, then the Overwatch merchandise that you’re going to want to buy is this keychain, available at Amazon by J!NX. Standard fare, sure, but we’re all about finding ways to inject nerdiness into our everyday lives. Buy the Overwatch Keychain here. See Also: ThinkGeek has one that has a light in it, too. Although not official, this Overwatch PS4 console skin looks too good to pass up. 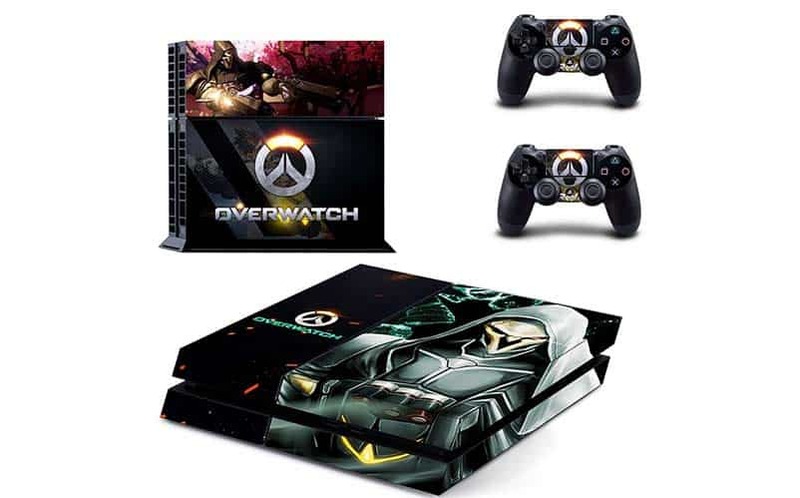 Buy the Overwatch PS4 Console Skin here. 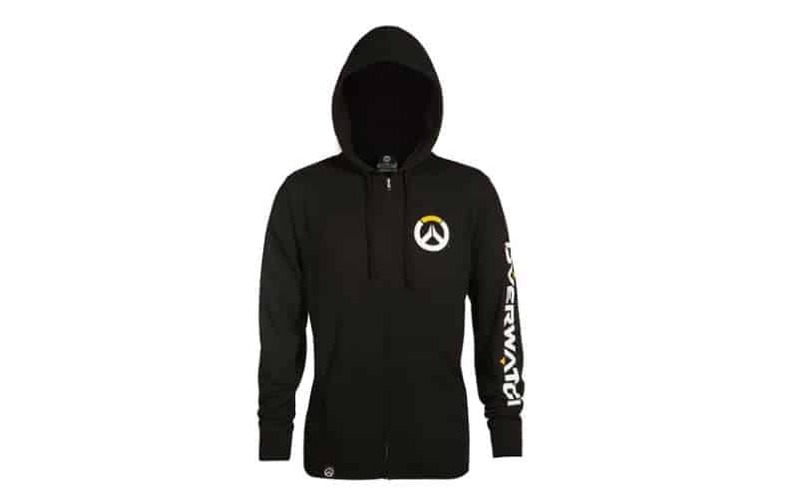 The Overwatch hooded jacket is now available, and there’s one for men and another for women. 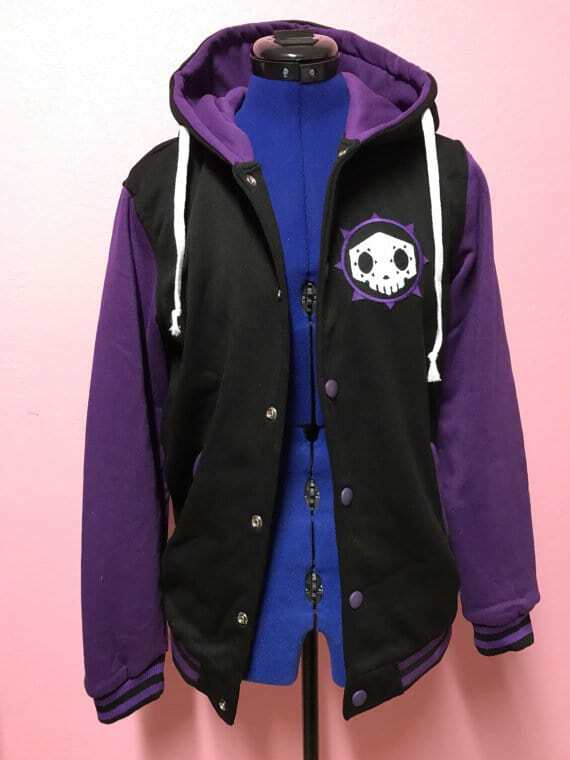 Both are black, with the Overwatch logo printed on the left side of the chest, with “Overwatch” going down the left sleeve. Full zip, and it has a sweatshirt feel to it. 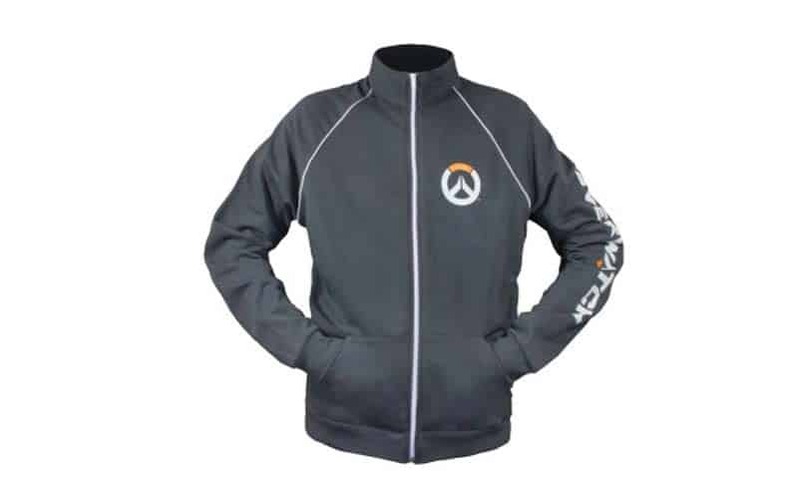 Buy the Overwatch Hoodie here. J!NX has a snap back hat for all you hat-wearers out there. It’s black (and there’s a grey version), and the game’s logo is stitched on the front of the hat. 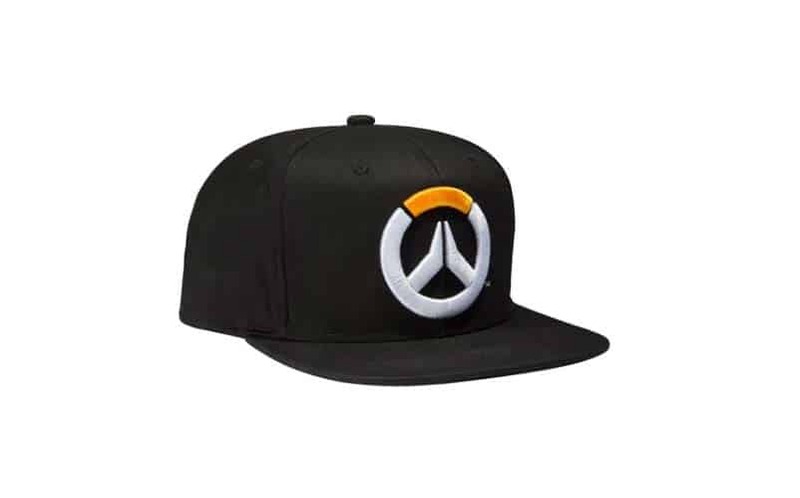 Buy the Overwatch hat here. 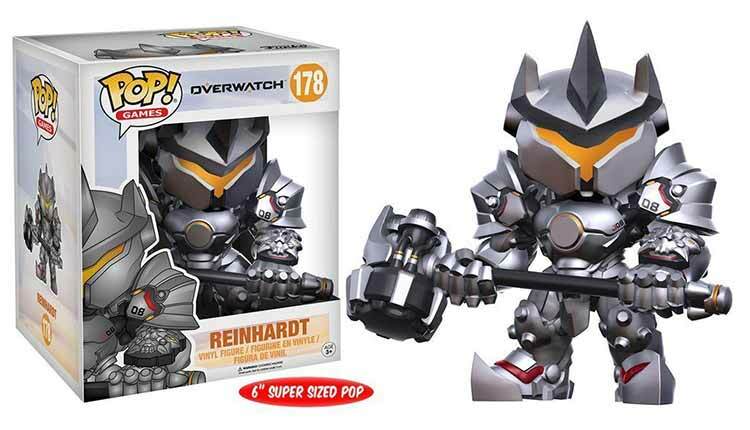 Buy the Reinhardt Funko Pop here. 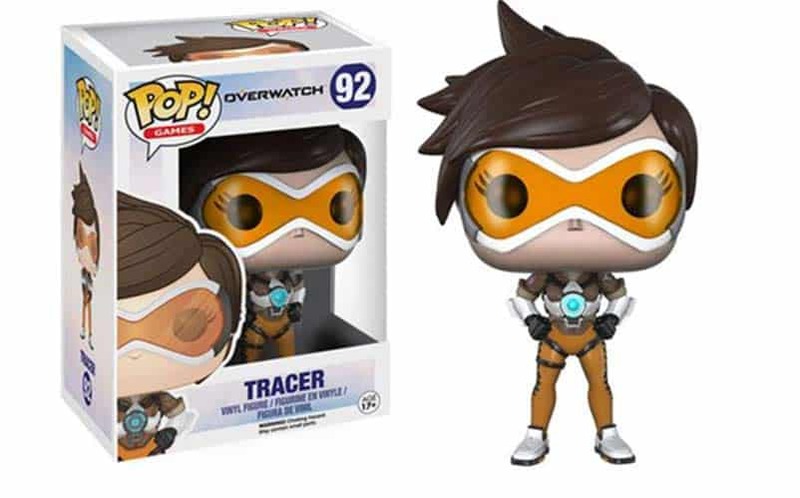 Buy the Tracer Funko here. 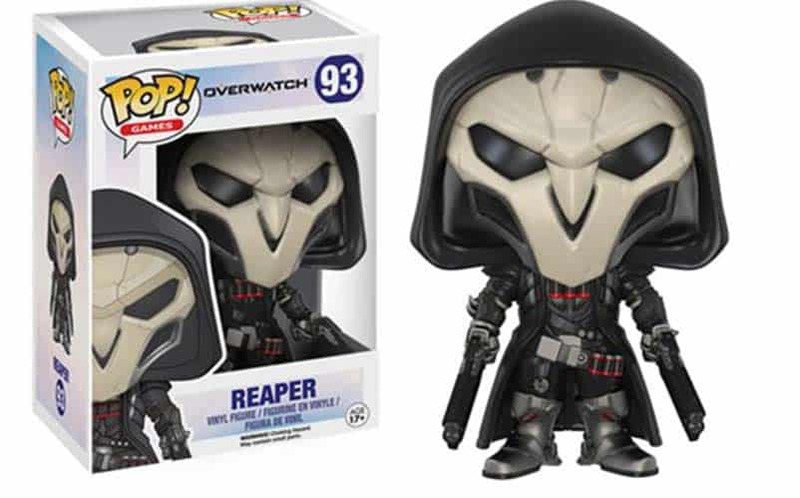 Buy the Reaper Funko here. 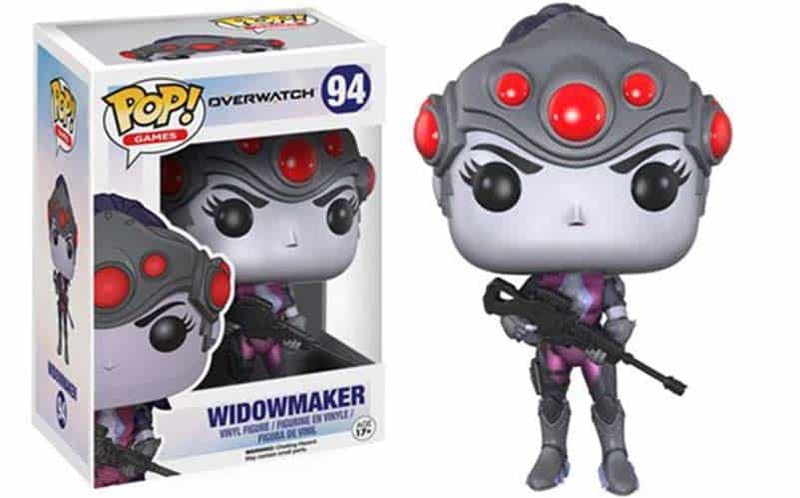 Buy the Widowmaker Funko here. 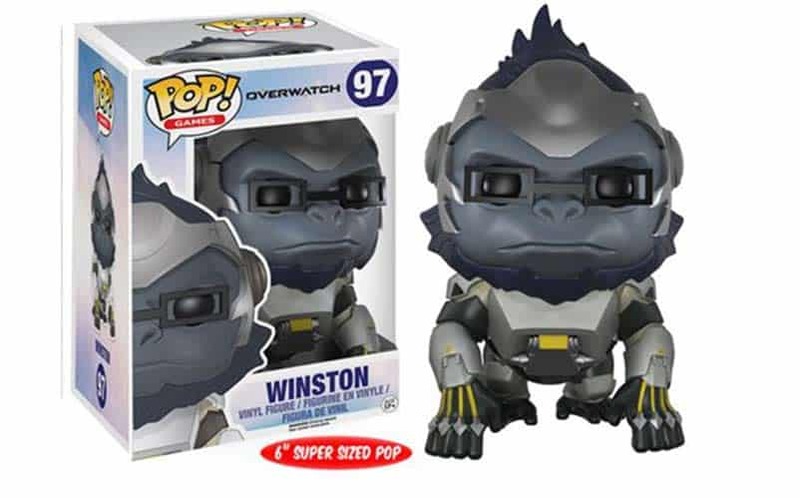 Buy the Winston Funko here. 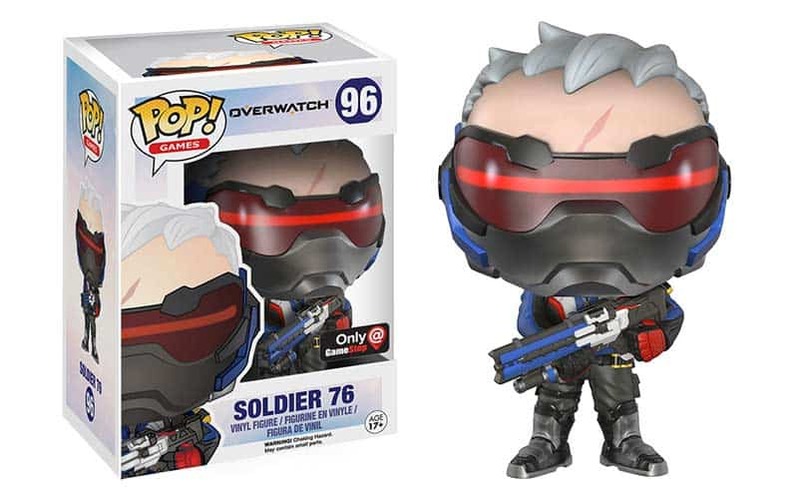 Buy the Soldier 76 GameStop Exclusive here. 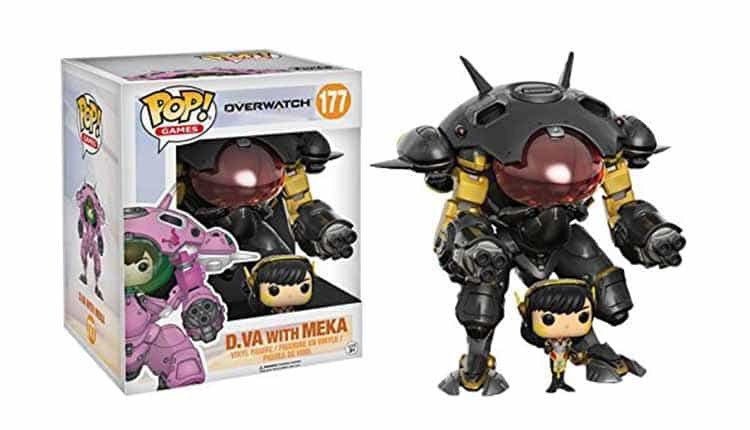 A limited edition D.Va with Meka Funko Pop, complete with her black carbon fiber mech. Buy the Carbon Fiber D.Va here. There are plenty of awesome Overwatch statues on the market in 2018, and this cute as hell Mercy Nendoroid is a top option. 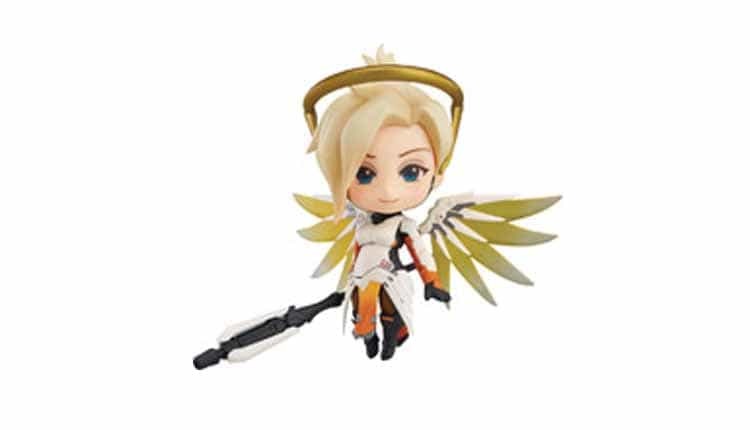 Buy the Mercy Nendoroid (Classic Skin) here. 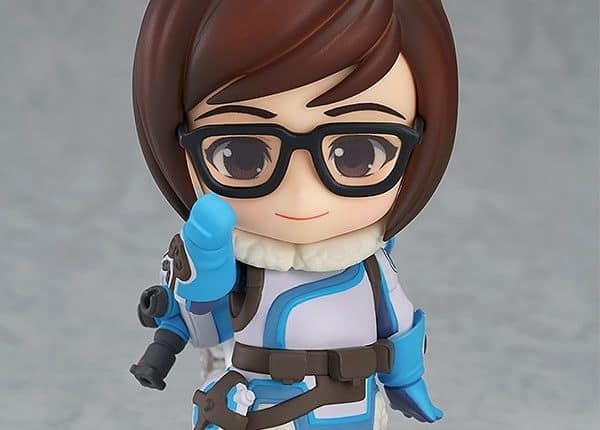 Buy the Mei Nendoroid here. 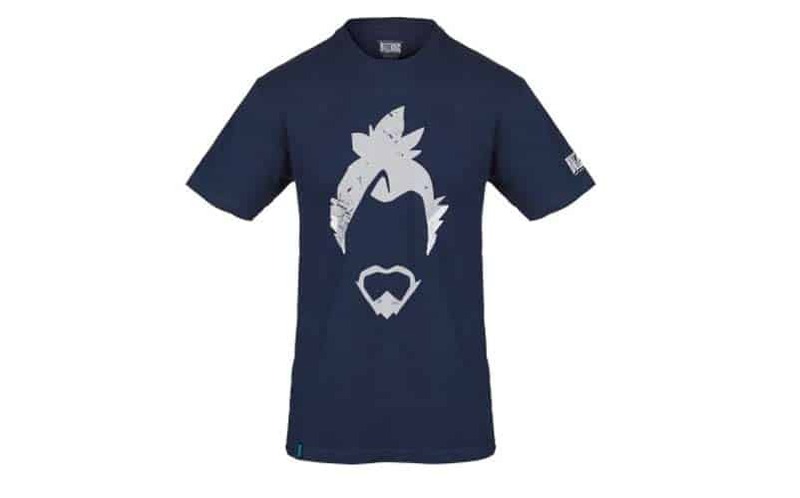 Buy the Hanzo T-shirt here. 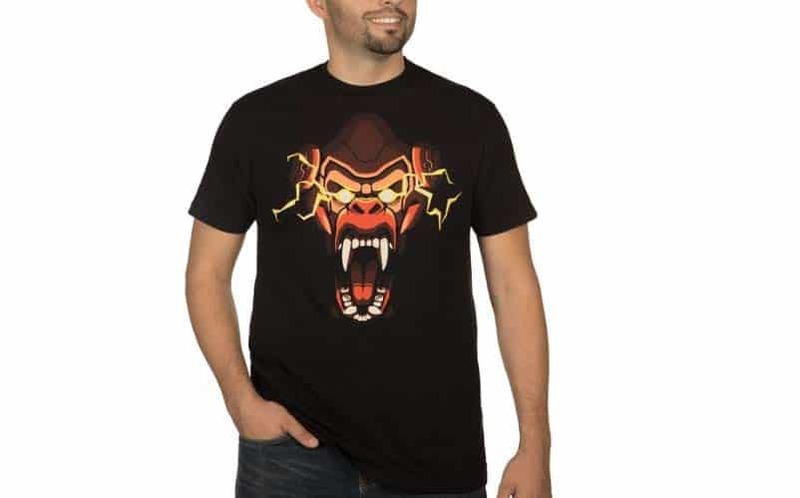 See the rest of the shirts from Blizzard’s official store here (because they’re absolutely legit). 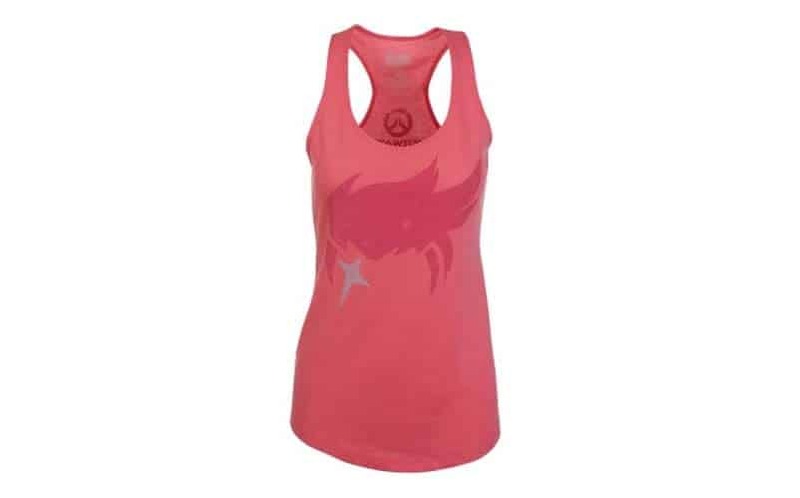 Buy the Zarya tank here. 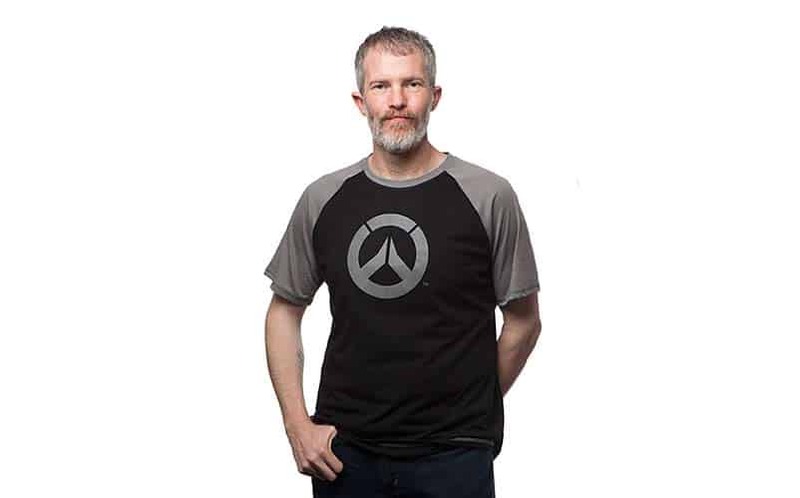 Buy The Overwatch Raglan T-Shirt here. 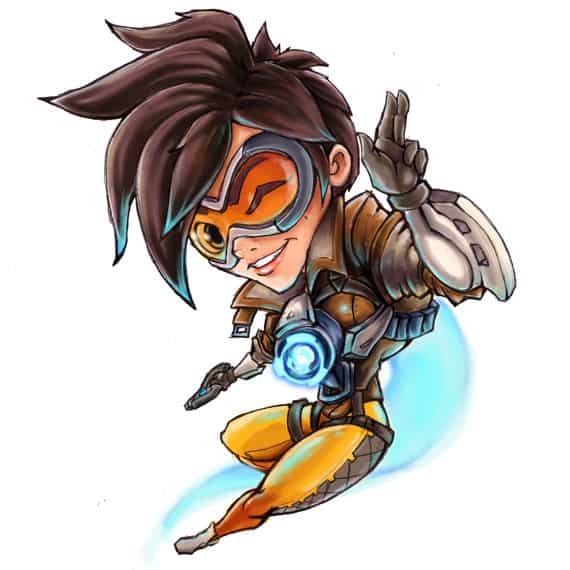 Buy the Tracer Sticker here. 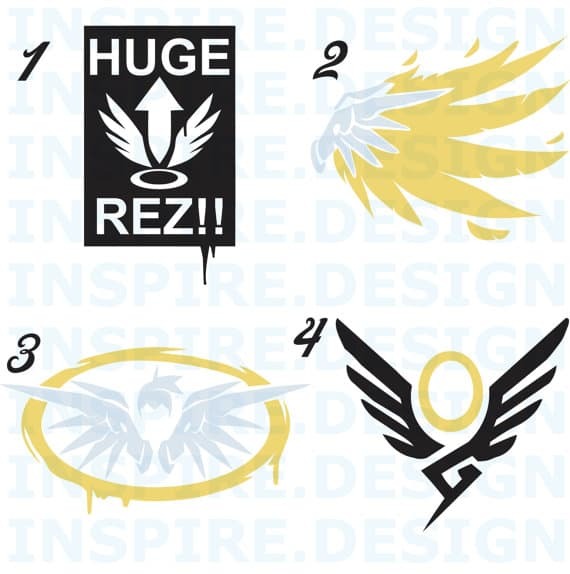 There’s a store on Etsy by the name of InspireDesignGFX who has a metric ton of Overwatch stickers and decals available, including Roadhog, D.Va, Mercy, Tracer, and more. They’re all great quality and sizable. Buy the Mercy Decals here. 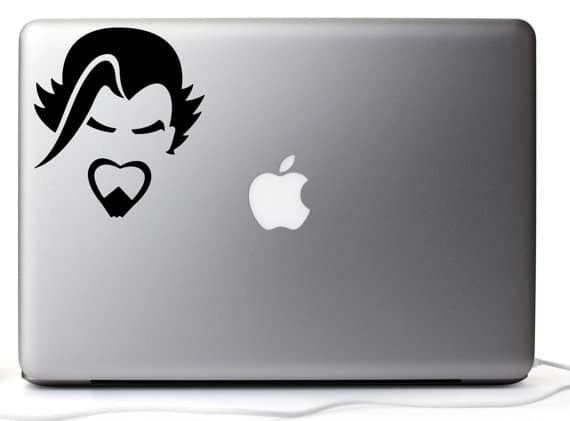 There are tons of great Overwatch laptop stickers available for just $4.00, and you can rep your favorite character(s) by sticking them onto your laptop. Buy the Overwatch Laptop Stickers here. If you’re looking to get into some sweet, sweet Overwatch cosplay, we’re starting to see a few high quality Overwatch prop replicas pop up on the marketplace. Your best bet, at least for now, is to check out Etsy, which has a few great sources of cool stuff. 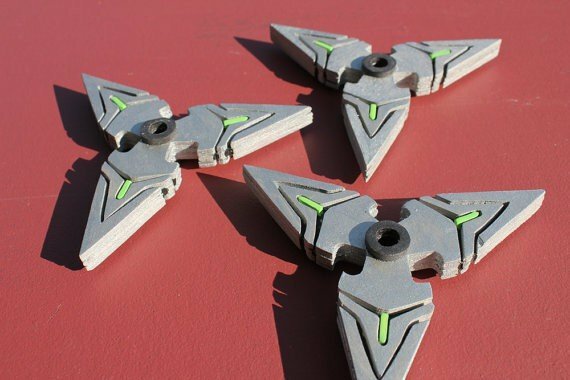 Buy Genji’s Throwing Stars here. 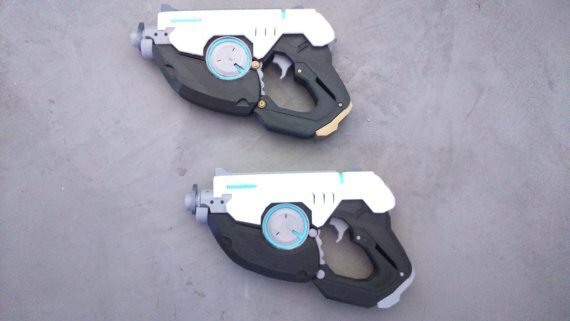 These are, by far, the best Tracer gun replicas we’ve seen so far, and although the pricetag is a bit steep, you get both guns. Buy the Tracer Gun Replicas here. Available at the Blizzard Store. We’re really hoping we see some awesome Overwatch figures hit the market soon, but as of right now, there’s nothing announced. Bummer. We’d be hard-pressed to believe that if Overwatch becomes as successful as we think it’s going to that Blizzard wouldn’t create figures based on the game’s characters. For now, there aren’t any action figures in the works, at least that we know about. 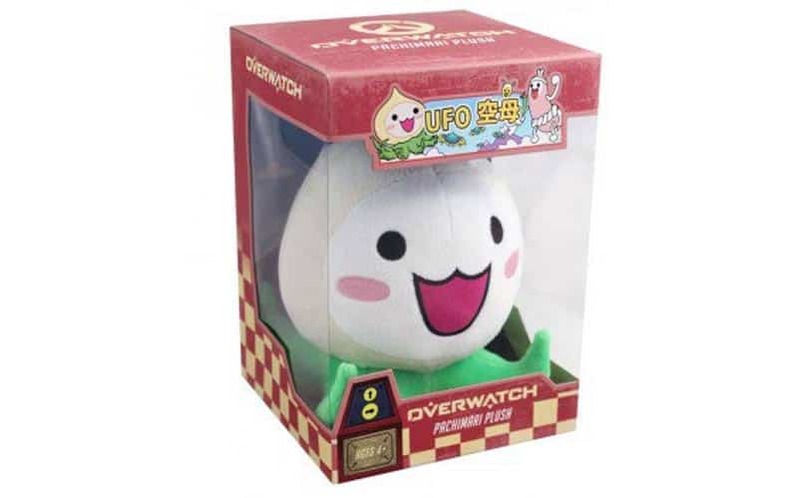 There are so many cute Overwatch plushies on Amazon now that we don’t know what to do with ourselves, but the Ganymede plush is a must-have for OW fans. 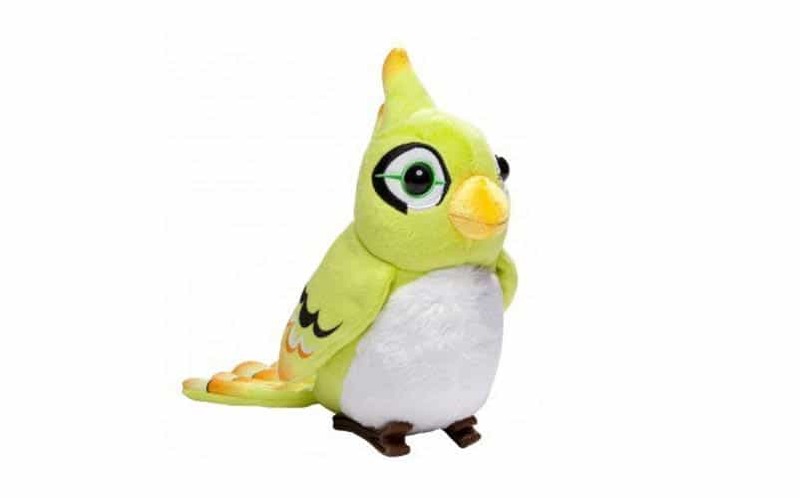 Buy the Ganymede Plush here. 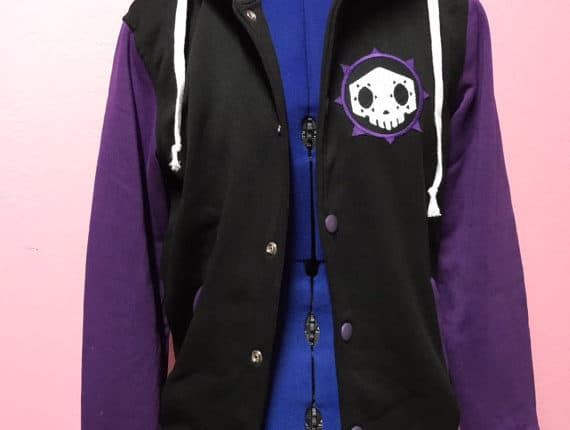 Buy the Sombra Varsity Hooded Jacket here. Buy the Overwatch Water Bottle here. 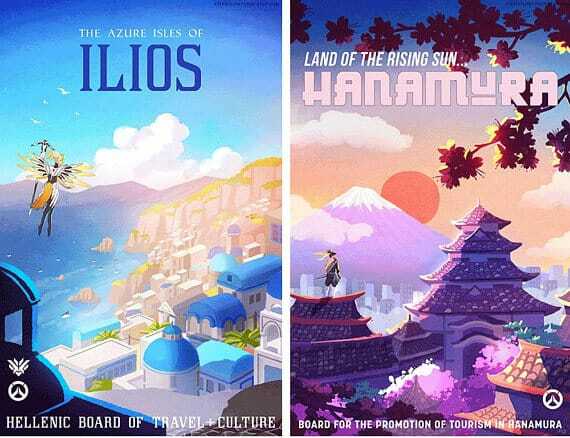 **Editor’s Note: We’ll be adding more of the best Overwatch merchandise we find as new products are announced, so stay tuned to this post or follow us on Twitter for updates.